The most important issue for development centres on the debate about the centrality of knowledge, technology and innovation to the process of economic development. While this much is broadly agreed, what is at issue is the precise mechanics of overcoming economic development challenges in different contexts. At the heart of it all is about how economies at different levels deploy the unending streams of information and knowledge to developmental ends. In time, the notion of income convergence between the poorer South and the wealthy North has proved a mirage, while a new economic divide has in fact occurred within the South itself, and as well, between regions and within regions. The debate relating to latecomers is thus framed in discussions about regions and countries that arrive late to mastering industrialization in achieving economic prosperity through the use of knowledge. In other words, a new divide has emerged among the latecomers themselves, and with it, greater conceptual complexity in the ways of our understanding of the divergent ways of economic development. We have thus separated "fast followers" and new "late comers". This book enters this debate acutely aware of the complexity of this process. 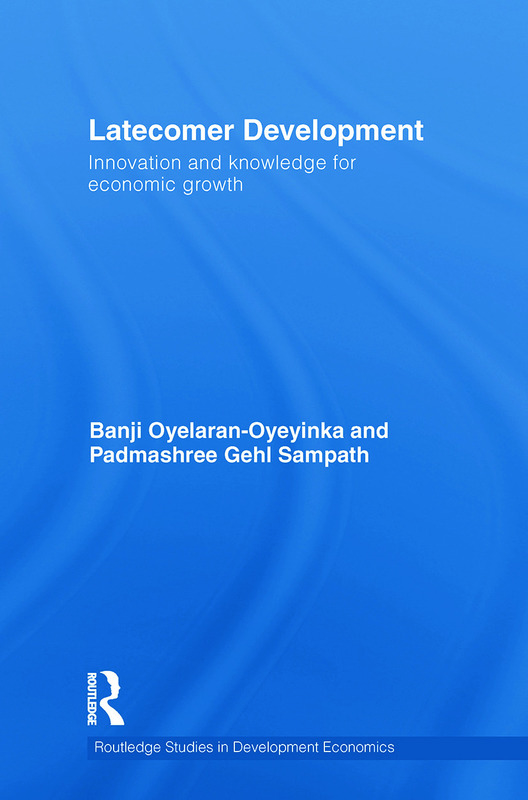 The authors argue that economic development is largely driven by innovation, concentrating on the dynamics of process, product and organizational changes and how they are embedded within specific and varied contextual institutions. India and China within global reach?